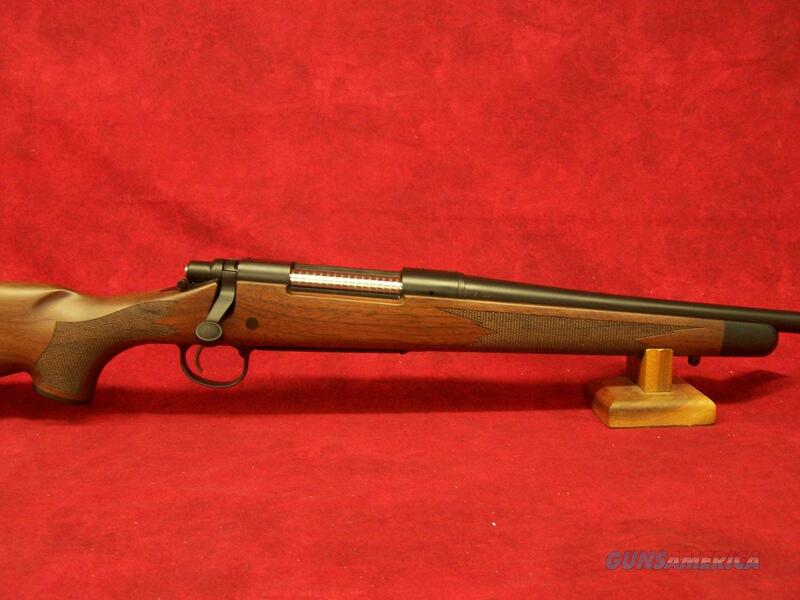 Remington 700 CDL .30-06 Springfield 24"(27017) "Classic Deluxe"
Description: Remington 700 CDL .30-06 Springfield 24"(27017) "Classic Deluxe"
Barrel Satin Blue Finish American Walnut Stock 4 Round Model 700 CDL Classic Deluxe Receiver machined from solid-steel bar stock. Cylindrical receiver design provides a solid bedding area in the stock for consistent shot placement. Carbon steel barrel with satin blue finish. Recessed bolt face locks up inside the counter-bored breech of the barrel which is surrounded by the receiver forming three rings of steel that enclose the cartridge case head for unparalleled strength. Integral extractor is set in a groove inside the rim of the bolt face supporting the cartridge head. X-Mark Pro externally adjustable trigger system. American walnut stock with satin finish.